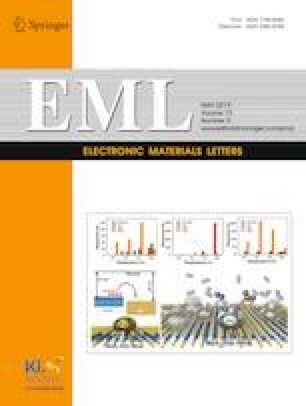 In this study, electric energy storage properties of (Pb0.89La0.11)(Zr0.70Ti0.30)0.9725O3 (PLZT 11/70/30) relaxor ceramics were investigated. XRD pattern and SEM image confirms the perovskite phase and dense structure without any secondary phases and pores, respectively. Room temperature dielectric constant was found to be high (~ 3520) with low dielectric loss (~ 0.03). Dielectric constant changes with temperature confirm the relaxor ferroelectric behaviour of PLZT ceramics. Different parameters such as degree of deviation (ΔTm) from the Curie–Weiss law, the diffuseness of the phase transition (ΔTdiff) and degree of diffuseness (γ), which are related to the relaxor nature of ferroelectrics were calculated. With the remarkably slim polarization versus electric field hysteresis loops even at high applied electric field, high energy storage of 0.85 J/cm3 and very high energy storage efficiency of 92.9% were obtained from the PLZT ceramics. These values suggest that the PLZT 11/70/30 composition can be used for the pulse driving energy storage applications. Ajeet Kumar and So Hyeon Kim have contributed equally to this work. This study was supported by the Basic Science Research Program of the National Research Foundation of Korea (NRF) funded by the Ministry of Science, ICT & Future Planning (NRF-2016R1A2B4011663).